As the date of the closing draws near, you will need to make contact with the closing attorney and your mortgage lender to ensure that all the necessary documents are being prepared. A few days before the closing on your new home, you will need to contact your utility services such as electricity, gas, cable, water, and phone set up, Your Realty Consultant will provide you with the information for the appropriate utilities to contact. 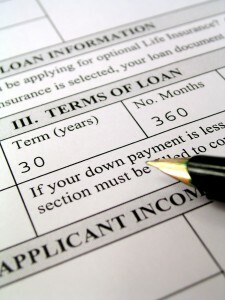 Lastly, you should find out what form of payment you will need to bring to the closing for any unpaid fees. Be sure that your payment is made out to the appropriate party. Your Realty Consultant can save you time by coordinating the necessary documentation with your closing officer to make sure you have a quick, easy closing. At closing, ownership of the home is legally transferred from the seller to the purchaser. It is a formal meeting in which most parties involved in the buying/selling process will attend. Closing proceedings are typically held at the office of the closing attorney or the mortgage broker. Your closing attorney organizes the document signing and the collection and disbursement of any funds. In order for the closing to go smoothly, each person involved should bring the required documentation and be prepared to pay any applicable fees. Your Realty Consultant will be present at the closing to help by answering any questions or helping to resolve any problems that may arise. Your Realty Consultant will also be available to handle any last minute or unforeseen details.